Ancient Hawaiian Ho'oponopono System Introducing the first and only Ho'oponopono App for iPhone, iPod Touch, iPad, that's puts the power of this Ancient Hawaiian Cleaning System in the Palm of your hand. Ever wonder why you seem to stay stuck? Have you thought why you seem to self destruct yourself? How would you like to eliminate old memories and programming? Wouldn't it be great to receive a non stop flood of true inspiration? How would you like to change live a life with Zero Limits? Now You Can! What is Ho'oponopono? Here is a quick summary... Ho'oponopono means to make right or to correct an error. It is an ancient Hawaiian releasing, cleaning technique. The technique is an ancient problem solving process that corrects erroneous thoughts and memories. Every experience we have ever had, consciously or sub-consciously are replaying back to us whether your are aware of them or not. These programs never rest or take a vacation and can control our lives unless we cut the connection we have and release the memories held in our subconscious to finally unlock our life potential. Ho'oponopono is a very simple method and it is extremely easy to do to release negative memories and energies that keep replaying. It is about returning to our original perfect state. Returning to the self that has no limits, where there is no separation between the self and the divine, where anything is possible. No matter were your are in your life, The Ho'oponopono System is the perfect gift to give yourself... The Ho'oponopono App was designed to help those who want to use the Power of Ho'oponopono to get to the Zero State in a even more Powerful, Faster Way. This app also helps those who struggle to grasp Ho'oponopono to get the full use of this amazing cleaning technique. The Ho'oponopono app uses the ancient Hawaiian technique with the power of Binary waves which assist you in getting to the Zero State faster than you ever thought possible. We have designed this app to help you clean quickly by putting your mind into the zero state with the help of Alpha Wave which puts you into a calm, clear, meditative state. Now that's not all... We have also incorporated a powerful subliminal Ho'oponopono technique to clean unwanted negative energy, memories - FAST and at the same time train your subconscious mind to clean all day on complete autopilot... Here is what this beautiful app can do for you: *Harness the Power and ease of the Ho'oponopno System *Clean Negative Memories and Energy *Experience The Zero State Fast! *Program Your Subconscious Mind To Automatically Clean Non Stop *Eliminate Old Programs that Continue to Run Over and Over *Change your life *And Much, Much More... 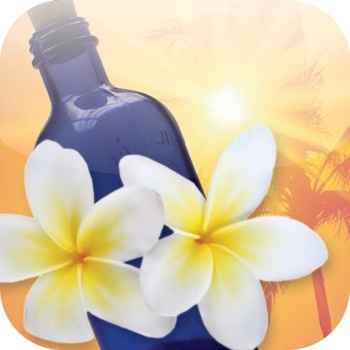 Whether you are experienced in using Ho'oponopono or if you are just learning about this ancient cleaning system, this App is perfect for anyone looking to boost the power and get to the Zero State faster than ever... You will never leave home with out it.... (: Get the App now at the INSANELY LOW, LIMITED TIME, INTRODUCTORY PRICE of JUST $2.99 (50% off original price) and be locked in for the AMAZING UPDATES, ADD-ONS and IMPROVEMENTS which are COMING VERY SOON. The Updates that are coming are awesome and with the Updates, Add-ons and Improvements the price will go up, but if you get in now at the into price of $0.99, you get all updates and add-ons FREE!!! Just think... You could be minutes away from turning your boring phone into Your Own Greeting Card Generator at your finger tips and FOR LESS THAN A CUP OF COFFEE. Act now before introductory offer is over and price goes up!